Dispensaries that have a weed vending machine will allow registered customers to pre-order items on the Jane app and pick them up. Remember when express checkouts started popping up in grocery stores? Remember how you thought it was the coolest thing ever, and how this new form of technology blew your mind? Well now, get excited because express checkout services are about to be taken to a whole new level. A higher level, if you will; Introducing the weed vending machine. A new Denver-based start-up called Jane has developed the idea of offering retail kiosks to dispensaries. They allow registered customers to pre-order items on the app and then collect from the stores (that use kiosks) or they can walk up to a dispensary kiosk and order from there. It’s that simple. For registered customers, this expedited service allows them to simply choose a product, insert cash, and then show their receipt to the cashier for proof of purchase. The total amount of time it takes to purchase? About five minutes. What more could you want? But you should know that the idea behind Jane goes a bit beyond a matter of convenience. Co-founders, Jeff Foster and Yves Yon, launched the company in September 2014. CEO David Ellerstein’s goal is to apply the same retail kiosk technology, seen in stores like Home Depot and McDonalds, to the cannabis industry. 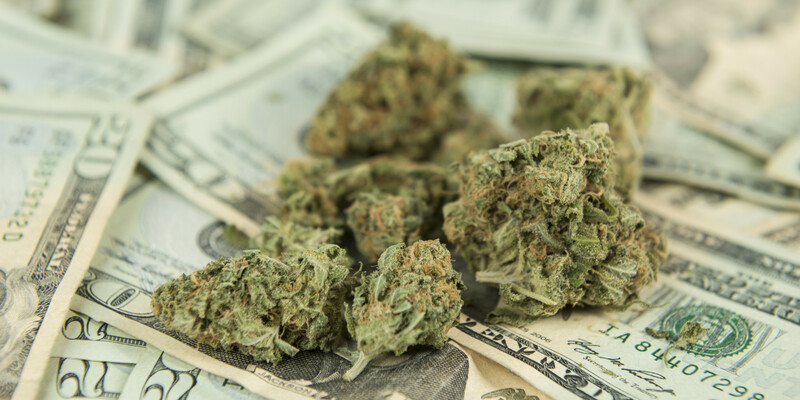 The cannabis industry is a cash industry, and that poses many problems. Cannabis is only legal for recreational use in four states (and Washington D.C.), meaning the relationships between dispensaries and banks can get a bit complicated. They saw all dollars as cartel dollars, but we could show them that we had compliance and we are business-minded in how we manage our cash.It’s providing greater user experience, efficiency and convenience for the consumer, and providing the dispensary owner with its cash controls and regulatory compliance. Jane is also able to track transactions happening in real-time, which provides dispensaries with greater transparency just in case regulators come to check up on them. But that’s not all. Jane will also be able to display the local tax breakdown for customers to show them what they are purchasing at both local and state levels. Seriously, is there anything technology can’t do? At the moment, Jane is only located in five stores in Colorado and Oregon but is said to expand their market to about two dozen more dispensaries in the next few months. Now, the biggest challenge for Jane will be establishing itself in an already booming industry in the current legal states. But still, lines can get pretty long in dispensaries, and now saving time in line is only an app away. Have you used a weed vending machine in a dispensary? What was your experience like? Let us know on social media or by commenting below.